Pain – When a tooth is dying, there can be varying levels of pain, from almost unnoticeable to extremely painful. 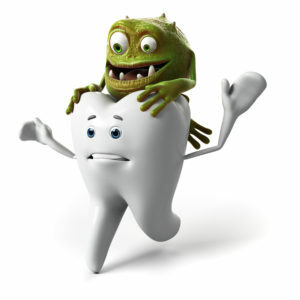 One reason for the discomfort is the bacteria and dead tissue place pressure on the surrounding periodontal membrane. Discoloration – A dying tooth can also change in color. Usually, it will appear to be darker and can turn yellow, gray or black. This is brought on by the demise of the blood cells in the pulp, which creates an effect similar to bruising. The common treatment for a dead tooth is for your dentist to perform a root canal (also called a pulpectomy). The procedure involves the professional numbing your mouth and then making an incision into the tooth. This allows access to the infected pulp area where the nerves and blood vessels are housed. The dentist will remove the remaining tissue and nerves and fill the vacated area with a compound called gutta-percha. Then the tooth will be sealed. Should I Still Have Sensation in the Tooth? After the pulpectomy is completed and the tooth has healed, there should be no more pain. If there is, then you should contact your dentist immediately to schedule a visit. The reason there should be no pain is that the root canal procedure removes the remaining nerves in the pulp area. Thus, if there is still discomfort, it could be a sign of other issues like a poorly fitted crown or an exposed area that is allowing food particles and bacteria to enter and infect the gums. It’s comforting to know that if your tooth dies due to decay or trauma, there is a remedy for the issue. Furthermore, when you receive a pulpectomy, you’ll have a fully restored digit that allows you to carry out your normal functions without dealing with excruciating pain. If you suspect you have a dying tooth, don’t hesitate to reach out to your dentist in La Porte to schedule a visit so you can get back to leading a normal life! Dr. Daniel J. Berquist earned his DDS degree from Indiana University’s Dental School and has since gone on to provide his patients with compassionate and competent care. He restores decayed or traumatized teeth with root canals at Region Dental, and he can be reached for more information about his services through his website.